As you wind through the beautifully manicured Links Golfing Community, past the elegant gates of The Preserve at Windward, you know you are home. Nestled at the end of a quiet street, this gated community promises everything that Florida living has to offer. Drive by the clubhouse and pristine heated pool where you will spend hours soaking in the sun. Take the elevator to your retreat, and prepare to be amazed. 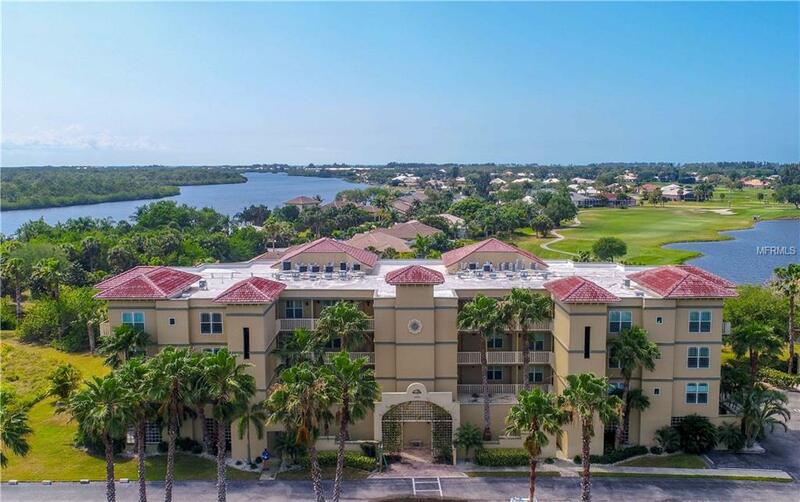 As you step through your entrance, spectacular water, preserve, and golf course views take center stage just beyond your screened corner lanai. High ceilings add even more volume to this spacious condo, and upgraded lighting fixtures, ceiling fans, numerous windows, and sliding glass doors create an energizing flow of light. The large kitchen is a chefs delight with hard surface counters, wood cabinets, and a breakfast bar. The Great Room features a stylish wet bar, perfect for entertaining, and the bonus room is perfect for a home office or den. Wake to beautiful views in your Master Bedroom, and have coffee on your screened lanai as you plan your day. Should you visit a nearby beach, go boating, play golf, lunch at a nearby restaurant, float in the pool, work out in the community fitness room? At the end of the day, relax on the tiled lanai and enjoy the sights and sounds that only Mother Nature can provide. Pride of ownership shows in every detail: the kitchen appliances, washer, dryer, carpet, some plumbing fixtures and air conditioner have all been upgraded since 2016. Welcome home! Additional Lease Restrictions See Amended And Restated Declaration Of Condominium. Pet Restrictions See Condo Association Docs. To Verify.